A balustrade is a row of columns topped by a rail. To us layman’s it’s basically a fence you would find around pools, balconies, staircase and verandas. 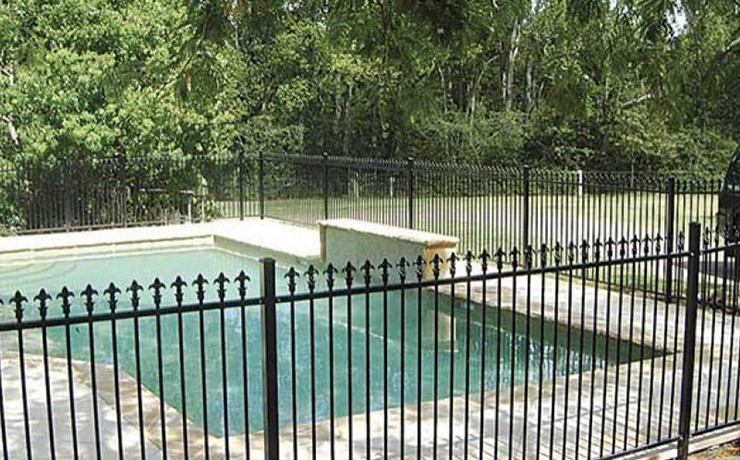 Fencing your pool, porch or outdoor area is a necessity to keep your loved ones safe, in particular children. When building, using balustrades, the weather, location and environment play key roles in choosing the right one and should be taken into consideration when doing so. 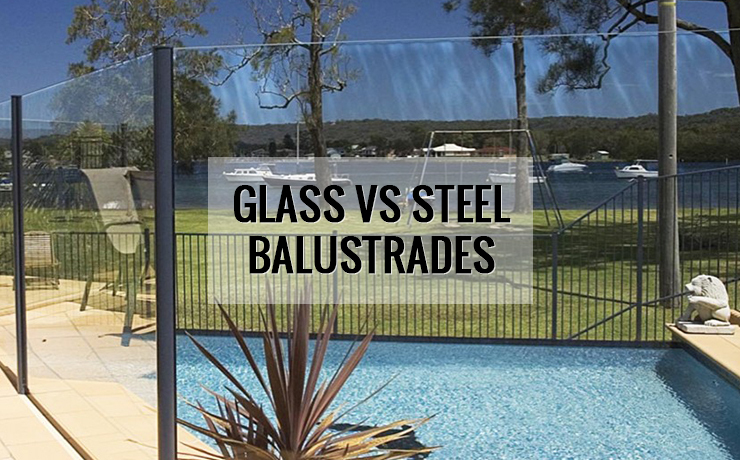 The two main options for balustrades are glass and steel. Each type of balustrades has its pro’s and con’s so let’s take a look. Glass balustrades are great for making the most of those beautiful views. They are sleek fencing option for safety and unobstructed views for your veranda, balcony or pool. You often see them on high rise holiday apartments, around pools, or basically anywhere that the view is paramount. They are a safe option for the pool due to the full coverage and kids are unable to crawl under or over while maintaining maximum views. They are a full coverage balustrade, and the block is great for blocking off those windy areas yet allow a breeze to flow in over the top and bottom. Although these balustrades look great and give you optimum views, like anything, there is a downside. Glass balustrades require lots of cleaning especially if you live beside the ocean. The salt air leaves a residue and they need to clean once every two weeks. They can also reflect the sun. That could be a pro or a con. Depends on your perspective. Another issue with glass balustrades is their transparency, and a bird will be flying along on its merry way to his crash landing. Then splat. Glass balustrades are little heavier on the pocket so if budget is a priority there are many other options. When choosing the right, the balustrade fencing for your home, you want something that is aesthetically pleasing that doesn’t interfere with your outside dwelling. Both options can cater to your needs. You want something that no not only fits and serves the desired purpose but also compliments the design of your home. The cheaper option is steel, although steel is cheaper that isn’t to say you have to sacrifice on design as it comes in many different colours and designs and with all the options available you will be sure to find something that will suit your budget and aesthetic. Glass is a little more expensive, however, is a great option when maintaining unobstructed views. Although glass balustrades require regular maintenance in the form of cleaning. Regardless which option you choose there is a suitable one for your home.